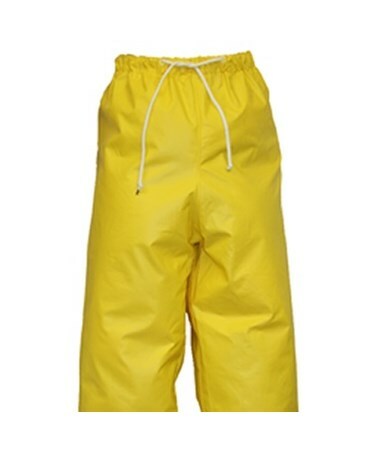 The Flame Resistant Yellow Pants with Plain Front is the appropriate choice if you are looking for durability and ease of movement. It has Therm-O-Rad sealed seams for complete waterproof protection, while its lighter inner coating prevents chemical contamination. 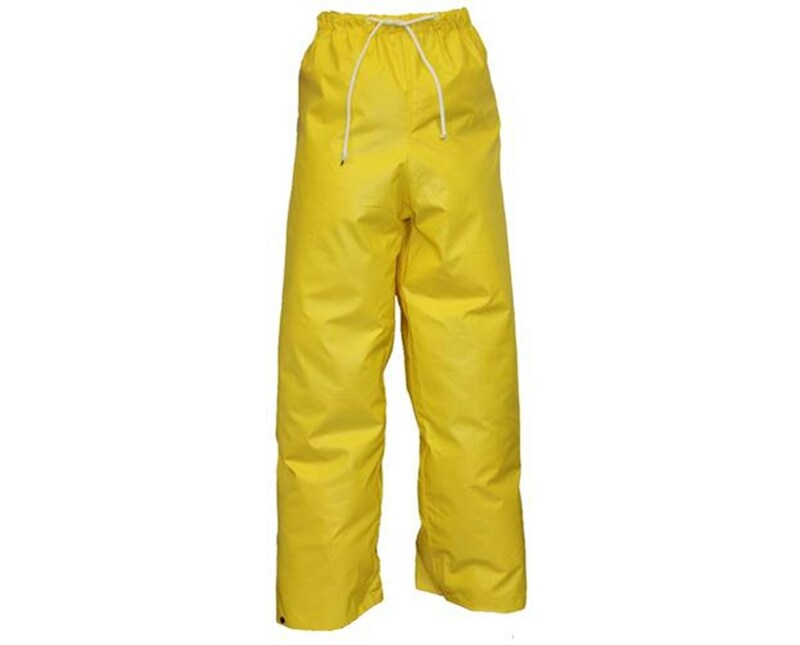 Made with an open weave polyester scrim fabric that is coated with two thick layers of PVC material, this pair of pants has added self-extinguishing feature and an impressive abrasion resistance. Tested to have strong chemical resistance against salts, alkalies, oils, alcohols, acids and mildew, this safety pants is suited for utilities, construction, light chemical, food processing, agriculture and general industry applications. While highlighting extremely high tear strength, it is versatile to wear. It can also be easily adjusted through its hip drawstring and take-up snaps on the ankle cuffs. 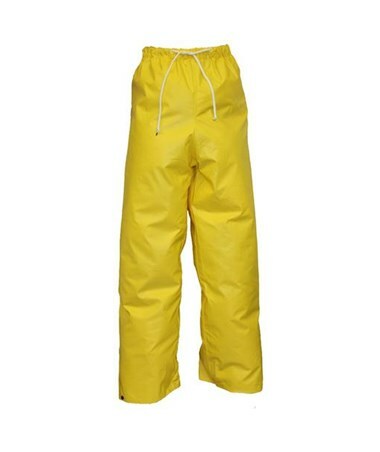 The Flame Resistant Yellow Pants with Plain Front is available in size S to 3X (size chart). You can select your desired size from the drop down menu in the upper right hand corner of this page.